Rochem Technical Services (RTS)– a member of the Rochem group of companies – has been a world leader since 1978 in gas turbine and process compressor cleaning technology, cleaning chemicals and associated equipment. RTS is the only company in the world that designs, manufactures, markets and supports its own systems and chemicals on a worldwide basis. 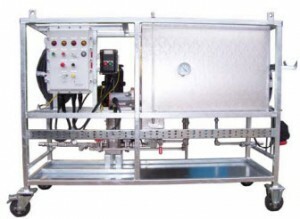 Our gas turbine and process compressor cleaning systems and chemicals are available and well-known worldwide under the trade names FYREWASH® for on-line cleaning systems and KRANKWASH® for off-line/on-crank cleaning systems and chemicals. Our patented cleaning system technology is based on our own unique atomising injection nozzle system designs and the broadest range of manual to fully-automated wash skids to suit every make and type of gas turbine and process compressor. 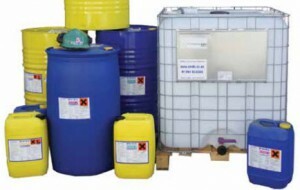 We also offer the widest range of proven and approved compressor cleaning chemicals because there is no such thing as one single chemical formulation that can deal effectively with every operating and fouling condition. Rochem Technical Services has been serving the gas turbine and process compressor OEM and end-user industries since 1978 and its customer/installation reference list is at least four times greater than its nearest rival. Thank you for visiting our web site. We hope will have an interesting tour and if you need any further help or assistance please don’t hesitate tocontact us. We look forward to being of service to you.